*This post contains a sponsored link. 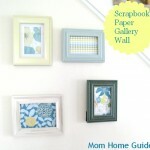 Sponsored links helps Mom Home Guide to continue running and posting for MHG’s readers! 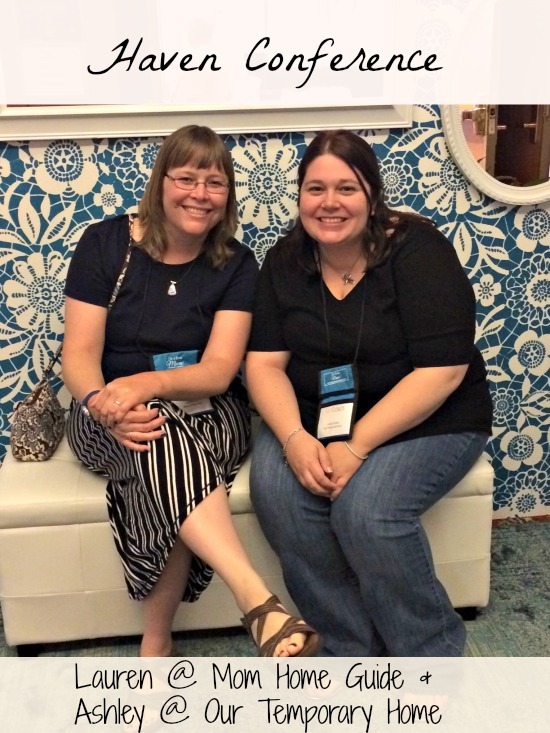 I recently got back from the Haven Conference (my first blog conference! ), so I thought I’d share some details! 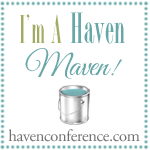 (Haven Conference is a blog conference for DIY bloggers like me!) I got to meet many of my favorite bloggers, received a lot of great tips about blogging and DIY projects, met representatives from some terrific brands and brought a lot of swag home! I was thrilled to meet super-awesome bloggers like Krista of Happy Housie, Sarah of Thrifty Decor Chick, Rhoda of Southern Hospitality, Abby of Just a Girl and Her Blog and Beth of Home Stories A to Z. I wish I remembered to pull my camera out! The below picture is of me with Ashley from Domestic Imperfection. 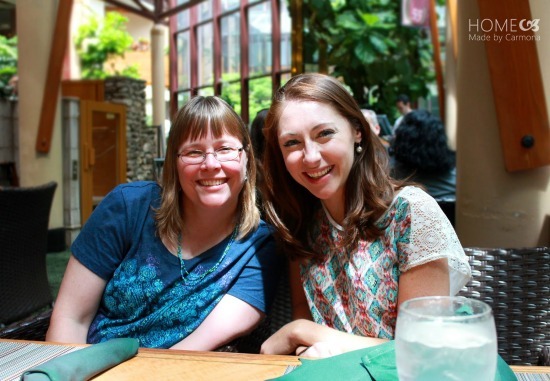 We met up at the Atlanta airport and shared lunch together at our hotel with Julia of Cuckoo 4 Design and Ursula of Homemade by Carmona. It was fun hanging out with those gals! My neighbor at Haven was Kathy of A Delightsome Life. 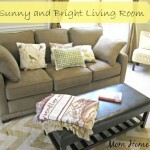 You should really check out her blog — she blogs about a relaxed cottage life. Sweet! This me with Ashley from Domestic Imperfection. I love her blog, so it was great to meet her! Photo courtesy of Urusla from Home Made By Carmona, another Haven friend! The conference was held in Atlanta last week. The conference opened up with a presentation sponsored by Home Depot. The speaker was Chip Wade of HGTV! 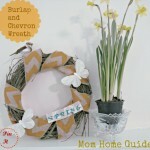 I love this video captured by The Happier Homemaker! In the video, Haven team Rhoda, Sarah, Beth, Chris,Traci, and Haven events planner Kristin, performed an awesome rap about being a DIY blogger! They had some pretty impressive dance moves! I love the lyrics, too! 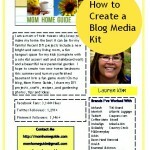 BLOG, BLOG, BABY! One of the classes I took was taught by sister bloggers Whitney and Ashley of Shanty 2 Chic. The class was quite fun and well attended! 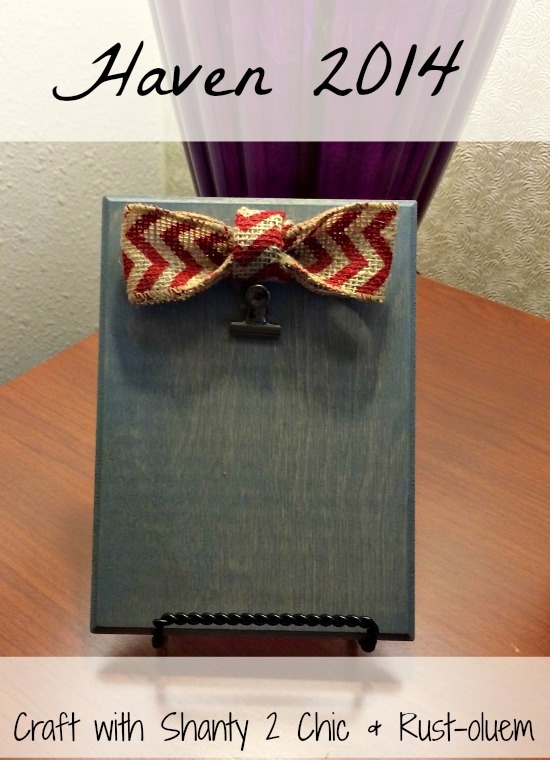 At the class, I made a cute DIY photo clipboard using Rust-O-Leum stain. The stain was quite easy to use and apply! I attended several of the classes with Ashley of Our Temporary Home. You should check out her blog! 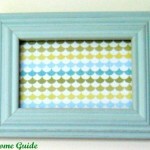 I took great classes taught by bloggers like Dusty of All Things G&D and Beth of Unskinny Boppy. It was great to meet them in person! 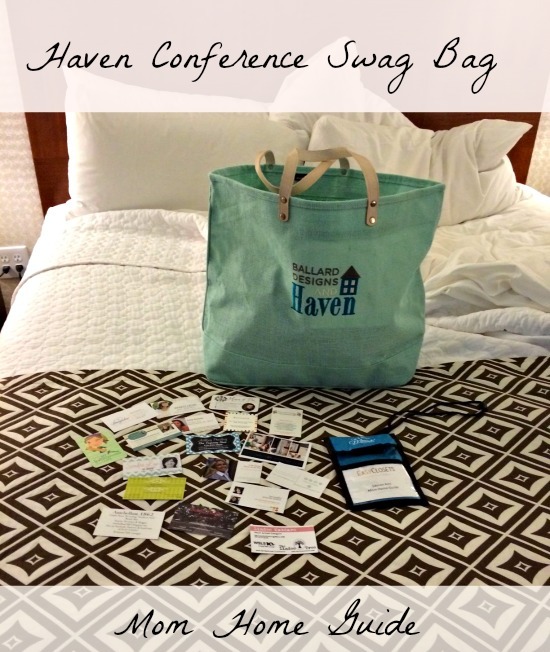 Besides learning a lot of wonderful blogging tips and meeting some awesome bloggers at the Haven conference, I took home a lot of free conference swag! I was lucky that I was able to get it all into my suitcase for the trip back home! We were shown this video at the Haven Conference at the welcome session — it features Haven Maven team, speakers and footage from Haven 2013. It’s set to one of my favorite songs! I was lucky to go to the conference — I was able to go to the conference thanks to NRG Residential Solutions, which sponsored most of my trip! I never thought I’d be able to attend Haven, but I am so glad I did! It was so nice to meet you Lauren! It was great meeting you, too, Julia! Hope you enjoyed the conference! Wow! 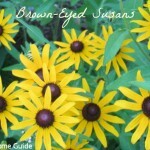 I love some of the blogs you mentioned here! Looks like a lot of fun. I’m hoping to make it to a conference this year, and it will be my first. Hope you can make it to a conference, Jen! I love your corn on the cob recipe! It was so nice to meet you! We are newbies no more! Loved meeting you at Haven! It was such a great conference. I was in that class with Shanty 2 Chic too! Have an awesome week! Thanks, Leslie! I enjoyed reading your Haven recap! That Shanty 2 Chic class was big! It was great meeting you at Haven! It was so great to meet you at the conference. Thanks for all the tips you had and keeping me company. Haven was such a great experience. Can’t wait for the next one! Hi, Ashley! It was great meeting you at the Haven conference! Hope we can go to Haven next year! Hope you are enjoying your summer!